Oracle Engagement Cloud (formerly Oracle Sales Cloud) engages your customer earlier and enables you to close deals more often. Equip your team with the proper processes, tools, resources, and intelligence to increase revenues. Work for Oracle Engagement Cloud (formerly Oracle Sales Cloud)? Learning about Oracle Engagement Cloud (formerly Oracle Sales Cloud)? "Going in the right direction with definite room for improvement." I like the ease of being able to create important, and pertinent, information in the system. Contact and Account Creation, working with Activities and Opportunities is a seamless process that doesn't take long and work effectively to assist the Sales Force with their efforts. The greatest challenge we face lies in two arenas. First, the ability for the system to detect duplicate accounts/contacts is both cumbersome and frustrating. So much time is spent by our Sales Force searching for already existing information. Additionally, when Oracle releases updates to the product, it often breaks already existing interaction with plugins and/or layouts. When this is done without our Sales Technology team knowing this is happening, it ends up creating a panic and reactionary mode, rather than our teams being able to proactively generate fixes when they are upcoming. while OEC is headed in the right direction, it seems like they are not stable and polished before they are rolling out this product. OEC allows us to drive a systematic compliance and congruence across our Sales Force, which is spread across the nation. The new updates and ability to easily navigate between various sales opportunities and make quick edits on the fly. Also, the ability to easily add team members to opportunities and navigate through all the accounts in my territory to determine which ones are the best ones to reach out to. lack of consistency with required fields. difficulty creating opportunities and fill out required fields that weren't previously specified. I would suggest marking all required fields so the end user is not caught by surprise after thinking they have filled in all the proper information. tracking sales pipeline, opportunity progression and establishing next step to move deals forward. Also a great tool for tracking forecast and allowing other team members to know what is happening in a given opportunity at any time. "Not quite the performance standard I expected"
Oracle Sales Cloud incorporates a Social Network embedded module which makes it easier to collaborate globally. Its readiness for mobile devices also makes it very accessible for users on the go, or out of the desk offices. We recently had a massive migration from CRM On Demand to Oracle Sales Cloud and it's already been 4 months of still fixing bugs and glitches and adjusting things not correctly planned. The biggest issue is speed, the performance is way low than expected for a product of its kind. Make sure your stakeholders are included in the mapping and migration planning conversation. Personally I found this migration quite painful, and I know there's a level of that to every migration process, but I strongly believe that having the right people on the table at the correct time can prevent a lot if headaches afterwards. Having a CRM is a must for any business who thrives for the future. On the very basic we are aiming to take advantage on data gathered by our Sales reps and convert it on usable intelligence to ultimately grow the business. "Sailing in the Sales Cloud"
Make use of all the different modules available to you for a truly seemless experience. "Early stage deployment, a step up from CRM On-Demand"
The user interface and mobile design add a modern feel to the CRM. This should eliminate some adoption issues with our Sales users. For a product owned by ORCL, it doesn't particularly play nicely with other ORCL products - specifically ELQ. Integration is underway, but has been far from seamless. Seek referenceable users and select a trusted integration partner to assist with implementation. Allow more time for testing than you think you'll need. Communicate often and openly with you users and document everything! Tracking sales efficiency and pipeline tracking. The customization and extensibility of OEC is constantly expanding. There is also a thriving community of developers to connect with and propose new enhancement ideas to Oracle. Reporting engine links marketing and sales and also provides great data visualization. The performance of the tool, particularly in search, is lagging a bit. However, Oracle has made improvements and continues to make improvements in this area. Follow a best practice, scalable approach. Leverage native functionality to get the benefits of Oracle's investment in improving the tool. 360 Customer view can be accomplished easily. Better tracking of competitors, better insight into sales pipeline and forecasing. All the features of the Engagement Cloud including the Sales and Services. Supports high-touch and high-value accounts using Engagement Cloud's sales and service capabilities. Would like to see realignment of Marketing Cloud (Eloqua/Responsys) with Oracle Engagement Cloud on Fusion platform. It's a game changer in the CRM world. So, make the shift in the right direction. "Oracle Sales Cloud offers a High Quality Sales and CRM Tool"
I work from an Integration perspective. Using the API's thru web services is pretty easy , espiecially the merge function. Also the Source System ID for Account and Contacts makes loading seamless with out having to get the corresponding OSC Party ID. "Help you organize all your customer information"
The simplicity of the software makes it easy to use. I can have all my customer information in a 360 degree screen, along with my leads/opportunities information. I can cantrol access hierarchically, defining organizations groups of sales representatives and their sales managers. I can also create appointments and tasks for myself and/or other resources and control it in a calendar page. In addition, there's a BI where I'm able to create many reports as desired and it's pretty use to create them. In addition to all this features (there's much more, but I won't talk about all of them) it's very use to configure and customize as you need it. Finally, Oracle Support is great. Most of the times I needed to open a service request, they answered me pretty soon. Depending on your issue, you can have a video conference with the support analists so they would easily understand the problem. Well, the import process is always somehow painfull. Oracle has been improving the errors messages, so it would be easy to identify the problem, but still, sometimes the process take just too long to import a few rows, and when finishes, ends up in error. Also, there are still some bugs, but which software doesn't have it, right? The good thing is they're always working to fix them. First of all, make sure you have though of everything you need. Then, expose it to the sales person from Oracle. Check with Oracle if all you need is feasible whitin the software. I've seen already a company which has bought Sales Cloud when they needed another tool. Later on, they had to switch tool. Big headache. Having that in mind, after you acquire Sales Cloud, create specifications of all you need inside the software and only then start to configure/customize it. I've implemented this software in some companies. The last one got his business improved by the best control the now have on their customers and their sales representatives. They have drastically reduce their sales loss. Great functionality and robust tools make Oracle Sales Cloud a powerful solution for companies looking to be more efficient. With just a Standard license, you get powerful BI Analytics tools, user-friendly mobile capabilities, and territory management functionality other CRM solutions charge extra for. Overall, it's a more cost-effective solution than can help you smartly scale your business and scale with you. Because of all the built-in features, Oracle Sales Cloud can be overwhelming for administrators and intimidating for users. The implementation has become more streamline, but can still be difficult managing if it is only a small part of your job. User adoption is also more effective if there is a clear objective and incentive in using it. Sometimes the system can feel slow as well. This is always improving, but one of the loudest complaints we hear from clients. Scalability and Consistency: Growing a business is facilitated with Oracle Sales Cloud. Best practices and sales processes are implemented into the system and encourage uniformity in areas most important to the business. As new hires are onboarded, they are exposed and trained on best practices and easily integrated into the company. Visibility and Accountability: The reporting tools are great and provide visibility for various roles to measure the effectiveness of sales process. "Can you ask for more than Oracle Sales Cloud?" I love how easy it is to manage all my data, the interface is friendly and let me see what I upload right away. The mobile app is really good too, I use it on my Samsung but I have seen people using them on their iPhones as well. But I think the best feature is how it lets me to see all my clients information (where do they live, which industry, etc.) and after analysing all of it, I can make the best decitions. I really don't have any complaing about this software, although bug fixes could be improve in order to stop the app to crash sometimes. But generally I think this is the best software I have seen in a long time. As I said before, this software is helping us to organize all of our client data in one place, allowing us to improve our times, to make the best decition out of a situation; and it is helping us to take the information everywhere we are. "Under Utilized Tool With Unlimited Potential"
Find a quality Partner to do a solid implementation. A high performing product can be low quality with a poor implementation. The UX is very dated, and doesn't get good feedback from our user community. Some of the recently announced features look to address this, but we've yet to roll them out. The upgrade process was tough last year, but getting better, but still lacks automated environment deployment that makes complex for the team to test each quarter. Keep customisations to an absolute minimum - use as much out of the box as possible. We like the process that is required and implimented as a result of using OSC. We work with MH and also use the funnel sales cloud that has helped our sales team focus on the right customers. Looking forward to digital assistance roll out and looking to be more mobile. The functionality is clunky for our sales team at times. We often need to trouble shoot with them and Oracle regarding notes disappearing. Looking to use the mobile application going forward to help with our mobility movement. Focusing on the right customers, and are currently on the AI pilot program so we are looking forward to seeing the outputs from the data we currently have in the tool. "Oracle Sales Cloud (Why can you not be more like CRMOD)"
The flexibility allowed by Groovy to accomplish additional functionality to the system. Were to start...Administration of the system is a nightmare. User Creation: Do I go to Manage Users, Do I go to Security, Do I go to resource. Finding and apply the correct roles and policies without having to have a degree in 'What would Oracle do'. System is slow when doing admin functions such as creating fields, or editing page layouts. Missing features that should have been baked in from day one such as a real Campaign object.User experience is lacking and in need of a refresh. Not much of anything currently. Bad experiences during implementation have lead to low user adoption. "Oracle CRM On Demand review"
Customization of the platform, where we can customize each user profile and interface. Changing roles and permissions and what they can access. Reporting is not great, hard to pull reports, create new reports, dashboards are out dated, hard to merge databases together. Difficult to import new data. Replacing our current manual process, our current Access databases with Oracle. Able to combined all data into one database. Have users interact with the platform. "Oracle Sales Cloud - When is it a good fit?" Know your customer's business process, and map them to OOTB as much as you can. Engagement Cloud cannot replace Siebel, and does not have all service aspects of Service Cloud. The key is in setting the right expectations. Sales Force Automation, Incentive Comp. "CRM On Demand - Review"
Customization of the objects to make flexible with our needs of the company. Goes well beyond a typical CRM system. Clucky backend and reporting needs, Hard to create reporting needs when using many custom objects. User inferface is not the friendiliest and can be hard to use at time. Using CRM on Demand to fill multiple needs that go beyond CRM. Things such as tracking time and working on asset tracking. "Cloud CX was never so easy"
Software was never that easy to configure before! Most of my clients were happy with modern UI and ease of configuration. Even, Business users could make simple changes quickly without anyone's help. Support and maintenance was ultra low for all of our clients. Party data model, Security, and imports are little trickier than expected. Very complex UI customizations were not that easy. Smooth and quick CX implementation. Great UI. "Modern CRM that creates a smarter customer experience"
Oracle Sales Cloud has been a fantastic product for our sales force. The could is enabling us to deploy and scale across the world to offices of varying size and sophistication. The technology is empowering our field sales force to be more efficient (reducing friction for our customers) and more effective (driving more sales and bigger deals). With any technology deployment, change management is really hard. The tool could use more embedded, guided help to make sure adoption and compliance is achieved faster. Long lead to order cycles are being reduced, order accuracy is improving. "I havent lost hope but we have to figure out how to make the UX more intuitive." I am not happy with how it is focused on opportunity in lieu of customer. We are consistently approached my Salesforce and they are consistently selling a complete customer approach. I believe that we can get there with OEC but we need to make some changes. Make sure you know exactly what you want it to do and how you are going to input quality information into the system. "Helpful in lead gen and customer tracking"
We were able to check out the sales cloud during a brief time. We are currently using SalesForce CRM to manage our client base. The nice things I like about the sales cloud was the aesthetics of the approach. Different than its competition, I truly like the interface and it seems as if Oracle is trying to beat out others by ease of use. I can't guarantee that it's better on a documentation and lead gen/ customer tracking perspective, but it's easier to look at and use. Some things I dislike are a lot of the features seem like you have to either pay for them or they are currently in the process of being built. We'd rather have the approach where we can just go in and use all of the tools are not see them, then it's not really using all of features if we can only see what they plan on building out. Continue to improve the interface which will help younger sales team hope to use! We're trying to just figure out the best mode to get in front of our clients. In doing so, we need a way to track our customers, and document the way we interact with them. It's not difficult to document, but occasionally it's hard to have every piece of document relate to each other. User Interface agility, navigating in different features of the solution is very easy. Also the setup configuration and the integration of the tool is quick and cheap working with the right partner. The only thing I found not so clear in the solution is the standard Italian localization in some fields that could have been labeled/translated better. Fortunately this impact only few fields. "Oracle Sales Cloud is a very powerful CRM tool"
There are some areas where there might be what feels like a few too many clicks, but the processing speed and compute power makes up for it. Additionally the tool is very intuitive. Talk to your Oracle reps to make sure you are getting the most benefits as possible. Oracle Sales Cloud allows sales reps to effectively use a scalable-repeatable process to run their business, and to stay on top of all customer interactions and deal tracking. "Oracle Sales from an Admissions Professional "
Everything takes a million clicks to get to anything you constantly have to flip between leads, contacts and opportunities. I cannot stand that fact that my teammates cannot see my opportunities. communication and data. It is helping us track where students come from and allowing others to see the communication activity. "As an Implementor and Administrator I only have Postive things to say about Oracle Sales Cloud"
Oracle Sales Cloud is easy to implement, offers a variety of platforms (Main UI, Simplified UI and Mobile interface) to allow users to choose the platform they like best, and is very simple for new users to quickly learn to use. Critical metrics are presented intuitively allowing users to analyze customer needs by territory, industry or location, recognize patterns, and nurture up-sell and cross-sell collaboration opportunities. The data import process has grown a lot since earlier releases. In the past, when data import would fail it would rarely provide any indication of where the problem exists. In the recent releases (Rel. 8 and above), this process has greatly improved. Now the error messages have become easy to understand and resolve. Overtime, I believe this process will continue to mature. Make sure to consider all aspects of the implementation, most importantly planning and design prior to beginning the implementation as well as long term support. Oracle Support is an invaluable resource many competitors do not offer. Rapid growth organically and due to a variety of global acquisitions resulted in multiple CRM systems (5), each with a unique sales process. The effort required to maintain multiple CRM systems around the globe, no single view of the firm’s sales pipeline, and the complexities of partnering on multi-national accounts without line of cite to a centralized account history was making global collaboration challenging. There was a lack of robust built in analytics, reports and dashboards. BI teams would have to manually merge data from each CRM system to produce global pipeline reports. This was inefficient, time consuming, and costly. I wish there was more of a hands on approach for training from Oracle instead of the online articles, or paying for additional services/training courses. I like how the product integrates with so many other Oracle applications. The flow can be a bit confusing at times, and the some fields are required and others are not requires a bit of configuration to get things setup the way you want. We are capturing and following up on leads for our products. Convenience for all the data being kept in the cloud. Salesforce is an easy-to-use, cloud-based CRM (customer relationship management) solution used by businesses in every industry to increase sales, generate more leads, improve customer service, and ultimately grow. We were in need of a solution in enabling the business to grow at our required rate, primarily around the sales cycle. Our business is involved in estimating and quoting. It also entails making regular changes to scope and cost daily all throughout the sales cycle. This tool is great for organizing our customer information and connecting sales to the Oracle ERP system. We look forward to capture greater time savings on our basic business processes. We haven't found anything troublesome, continuing to learn more all the time. "Still hopeful to love OSC." I like that it is backed by a large company. The click budget is high. A lot of windows to open and close in order to create a lead. We are trying to use the system for nurturing leads and increasing our conversion rate. In addition, we are trying to use OSC to maintain and easily access that view of the customers journey and interactions with various people at our company at various stages in the buying process, including after the sale. "Oracle Sales Cloud is a Mobile, Modern Intuitive Solution"
The constant innovation focused on the Sales persona - it's what's been missing in CRM/SFA for years. Evaluate any SI you hire very carefully. OSC is a fairly new product so finding experienced help can be a challenge. Getting our Field Sales reps mobile and giving them an access point that is easy for them to use. 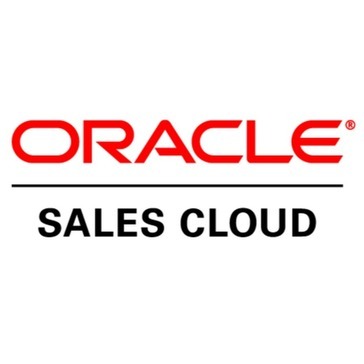 "Succeeding with Oracle Sales Cloud "
We needed a solution that would enable the business to grow at the rate we required, mainly around the sales cycle. Our business involves quoting and estimating effort, with regular change to scope and ultimately cost, sometimes on a daily basis throughout the sales cycle. Previously, our process was resource and time intensive for our technical team. We’ve now used the application composers and groovy scripting within the tool’s capability to deliver an inbuilt quoting metric, which allows our sales team to alter estimates, update sales cycles, delivery costs and monitor margin through a system we involved our delivery team to design. Take the time to look at your business processes, goals and the key drivers you want the business benefits are that you want to achieve. Then work with an implementation partner who can help you map these processes and make the best suggestions for your business. Involve the key people to ensure you have business buy in and backing. As well as the final system itself legacy data is of course equally as important to consider as is as thinking about key integration points to ensure all the information required is present and available. From a methodology point of view it’s very important to go through a sanctioned project approach starting from requirements definition and design, moving into build and test, and the running through into train and deploy. Even though this is cloud based software it is still important to get the basics right in order to ensure implementation success. An automated workflow has been built in, so any discount levels that need senior management sign off are automated with a notification and our sales people don’t need to speak with as many people to provide a quote, so the sales cycle is reduced and optimised whilst making us more competitive, whilst the technical delivery team have more time for billable margin making activity. With the excellent analytics dashboards, we have seen a correlation to the amount of closed business and timelines since implementing the tool. Our margins are improving because we have a more holistic view of the detail, which has enabled a better articulated value sell. "Made a huge difference to our sales efforts"
Simple and clean user interface - I can create and update my data really quickly. The mobile app (I use on android but the ios version seems good as well). My favourite feature is probably the real-time analytics and the dashboard tiles that provide instant insight into my pipeline. I've asked our developers to be able to configure some views to include embedded dashboards within the page containing the data (at present I need to click on a tab to access my report); but I'm told this is coming in the next release in the next couple of months! Definitely check out the UI against the competition as I really felt Sales Cloud was well advanced of the rest. And make sure you look into the possibilities with the embedded analytics as this seems to be a very powerful tool which we're learning to use more and more. Tracking leads and opportunities effectively. Logging and tracking sales cycle on the road (using mobile app). "Sr. Director of Enterprise Applications"
"A great tool for our outside and inside sales folks"
Oracle Sales Cloud enhances the communication between our inside and outside sales forces. It enables them to effectively share and discuss leads and sales activities on the go. Getting support as quickly as we need it can be challenging. The 'Around Me' feature is great at alerting you to new sales opportunities in the local area. Oracle Sales Cloud has solved some of our problems with coordination between our sales people. It has made it easier to account for and study seller activities, and to share those in real-time with the office. I like the simplicity of the software and easy it is to use. I can have all my customer and lead information in one area and get to them easily. It is easy to navigate through the software and creating different groups. Trying to find out what works and what doesn't work. Trying to gather information to best serve our customers. "Oracle is continously adding capability"
"OSC is a big step forward for our business"
OSC allows our sales reps to keep all of their customer information in one place. Once we go live, it will greatly help to increase visibility. Some of the administrative functions seem to be repetitive. For example, having to update users in both manage users and the resource directory. It give more visibility to the management team, allows us to see the sales pipeline more clearly. I'm looking forward to rolling out more features after we go live. Very good look and feel, nice navigation. Very good Depth in Sales and Marketing functionality. Customer support is good. It is a useful as it is using the latest technology advances and incorporating the best practices gathered from Oracle's thousands of customers. While it has still some way to go, salesforce is much better option in cloud world. As an integration consultant, we use to integrate various systems, Oracle sales cloud is one of them. More Capabilities on Territory Management and not robust enough to handle more complex products. "WIll be a Great CRM"
The core functionality will be great once the product is more mature. Tracking of accounts, contacts and activities for reporting for Government contracts. "Terrible. It's clunky and has quirky glitches that require you to log out and log back in to fix. " The only thing I like about oracle is that they bought out Eloqua and I really enjoy Eloqua. Oracle support is terrible and frequently misses scheduled meetings. I have a ongoing list of missed meetings and other mistakes they have made when opening a Service Request. Don't buy, go with Sales Force. I feel like we were Oracles "Ginny Pig" we have had so many issues we haven't really been able to use Oracle. Examples being fields aren't set properly, we have duplicate contacts in the system, emails don't sync, tasks come over as "not started", Canada address aren't entering in properly, maintenance updates often require us to uninstall and reinstall the Oracle to Outlook sync tool (which has never worked properly), and the list goes on. Oracle Sales cloud is a fast and powerful tool for tracking leads and managing partners. I have experience with Sales Cloud at a smaller organization and many features were invaluable for forecasting and managing partners. One downside to sales cloud is the ability to get up to speed quickly. There is a fair amount of training and experience needed to become proficient. Tracking leads and working with partners. Dashboards have been helpful. "Sales cloud implementation at Hitachi "
Nothing we didn’t like. We did like the old software better because we were so use to it. Upgrading applications and data intragrations. That the application is in the cloud with access anywhere in the world. Common platform for the sales organization. It is the slowest system I have ever used. Very frustrating to get any work done. Many bugs and it wipes out note fields after entering in the data. Collaborative sales team environment with analytics reporting. "Oracle Sales Cloud not good tool"
Not much, the tool has been a struggle for users to adopt. Integration with other tools is difficult. It is difficult to customize. The mobile is clunky. Does not integrate with other tools easily. No business card scanner. Users hate it. Not easy UI. We do capture more information than previously. * We monitor all Oracle Engagement Cloud (formerly Oracle Sales Cloud) reviews to prevent fraudulent reviews and keep review quality high. We do not post reviews by company employees or direct competitors. Validated reviews require the user to submit a screenshot of the product containing their user ID, in order to verify a user is an actual user of the product. Hi there! Are you looking to implement a solution like Oracle Engagement Cloud (formerly Oracle Sales Cloud)?